OLD PARKED CARS. : 1973 Chevrolet Laguna. I was six when these started rolling off the assembly lines. I always thought they were a major step backwards from the cars they replaced. 40 years on these cars haven't grown on me much. But the '73 Laguna had the best front end, and the '73s in general had the best taillight treatment. So if I had to have a Chevelle of this vintage, this would be the one I'd want. I have always liked this generation of chevelle. those tail lights are cool, makes the car look a little more sporty. the ss version and the laguna s3 were my favorites and a sleeker nose for the s3,that was just plain cool in my book. great looking ride, it would make a great first car for someone just starting to get into classic muscle. Firsty year Malaise era Chevelle, and it's a Laguna. Sweet! totally crazy find. i'm inclined to say that no one from our generation would have a clue that this was a chevelle. digging the grill-mounted turn signals, of course, and the integrated bumpers. so you found this in your old neighborhood, ben? how long have you been sitting on it? 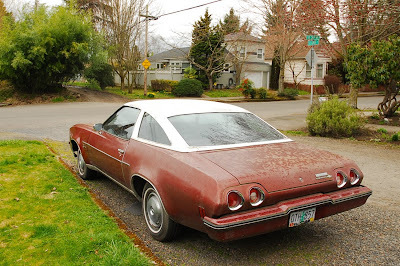 As I keep going through your blog, I keep seeing cars that I used to own, or reasonable facsimiles anyway. Here's another. 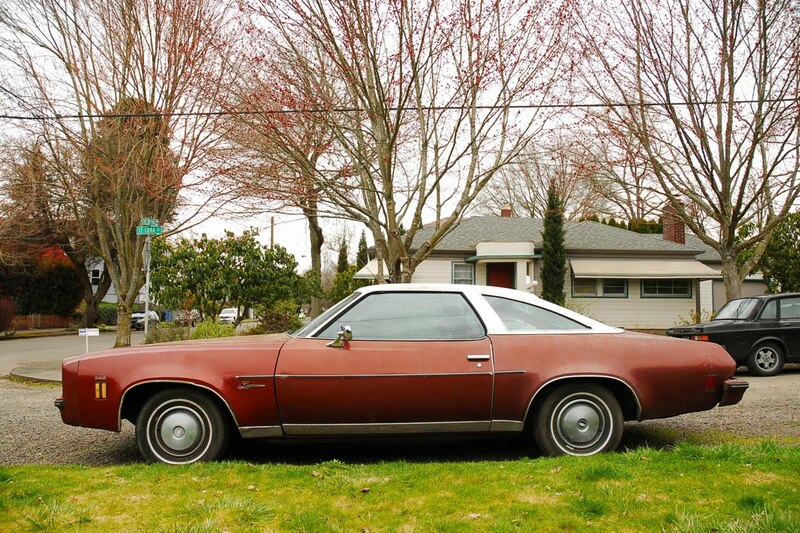 My very first brand new car was a 1975 Chevy Laguna Type S-3. Silver with black racing stripes and trim. Swivel bucket seats. It also had the dashboard of the Monte Carlo which itself was based on the Chevelle. The Chevelle had a rectangular speedo and idiot lights, whereas the Monte and the Laguna had a full set of round gauges, including the speedo. Wonderful car. 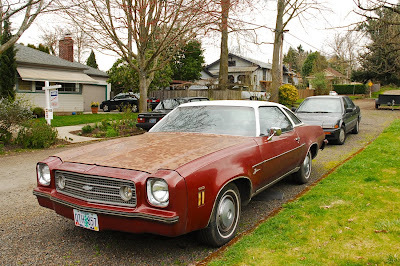 My grandmother had a 73 Laguna.She traded in her 67 Camaro rally sport and gave it to my mother.The Laguna was nice it has a 350 dual exhaust bucket seats a console the swivel bucket seats.The Laguna had a.m. 8 track in it.She traded it in for a 79 Impala. I know the girl who owns this car. I had this exact same car, 73 laguna. It was my very first car. Loved it, had a 350 small block. Mine looked identical to this one pictured. Same color and all. Wish I still had it. Unfortunately my mother used it 1 time cas her'son broke down. Well she wrecked it.